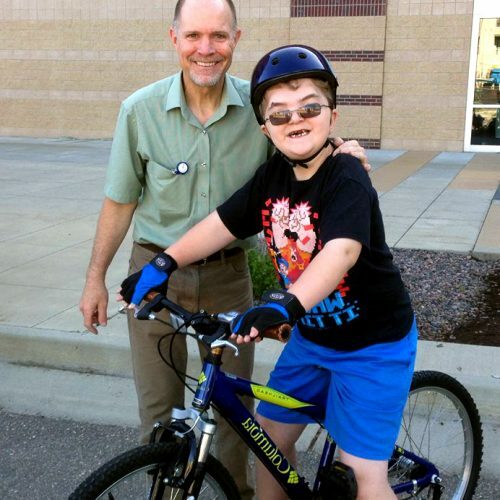 I can’t thank you enough for providing a bicycle for Duncan Hopkinson. 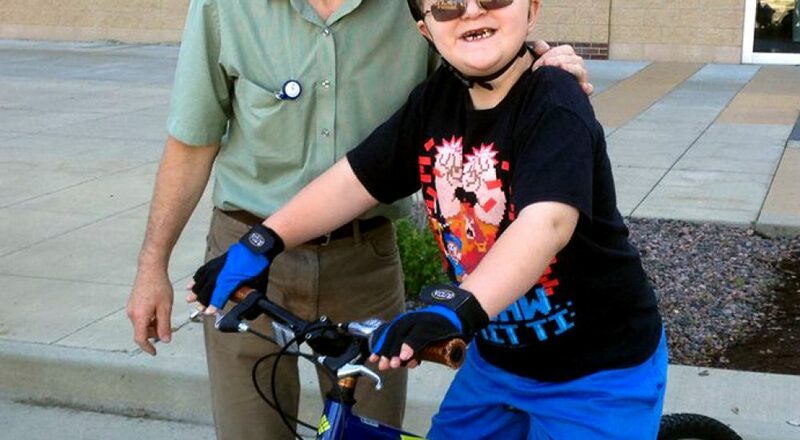 The family had looked for a bicycle for Duncan, but could not find a bike he could ride that the family could afford. Duncan was so excited when we brought the bike out that he was hopping up and down in his seat. Duncan is not quite riding by himself as we are still working on his start but we hope to get him there soon. Please find attached a picture of Duncan with his bike. The Golden Optimists is a non-profit organization that brings out the best in children, their community and themselves. We take used bicycles and recycle them for those in need of transportation, exercise and fun.